Down syndrome doesn’t mean something’s wrong. My son, Jack, is now 18. We adopted him when he was just a month old. As with a large percentage of other children born with Down syndrome, Jack needed open-heart surgery as a baby. After recovering from that event, our son has never slowed down. Most times Jack’s brain functions the way you would suspect it to. However, there are moments when he is extremely lucid, and a brilliant flash breaks through. One of those times happened when Jack was about 5. My wife, Amy, had spent a significant amount of time over two days practicing a single piece on the piano. On the second day, after finishing, she stood up from the bench to walk away. As she began to leave the room, Jack walked over to the piano and plinked out the first five notes of the melody in perfect timing. Then he walked away. Shocked, Amy rushed back and tried to get our son to repeat what he had done. Try as she might, he could never do it again. But for a split second, a brilliant mind peeked out, then re-hid itself behind his condition. How do you explain to your son that Down syndrome doesn’t mean something’s wrong? That was all Jack needed to hear. 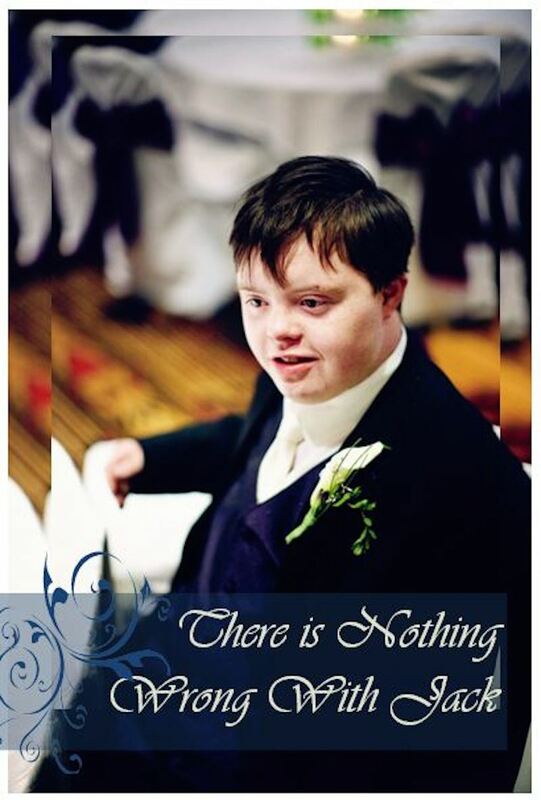 He had learned that Down syndrome doesn’t mean something’s wrong. Nothing was wrong with him. He had a job to do, and he did it well. You can understand his point of view. But to all those who don’t have the opportunity of having people like this in their life, to all of those who don’t have any clue how amazing it is, my friend and I would like you to know that there is nothing wrong with Jack. He’s as perfect in what he is supposed to be as anyone could ever be. He has taught me some of the most awesome life lessons I have ever learned. The day we all learn to appreciate life as much as these rare persons with bonus chromosomes do, we’ll understand that Down syndrome doesn’t mean something’s wrong. Then the world will be a better place. This post originally appeared on JohnMSimmons.com. John M. Simmons is a husband, father and award-winning author. He and his wife, Amy, have three biological children and six who are adopted. Several of their children have intellectual and psychological challenges including; Down syndrome, Reactive Attachment Disorder and Post Traumatic Stress Disorder. John took an early retirement from his position as President/CEO of White Knight, the international high-tech business he started, to focus on adoption and orphan awareness.